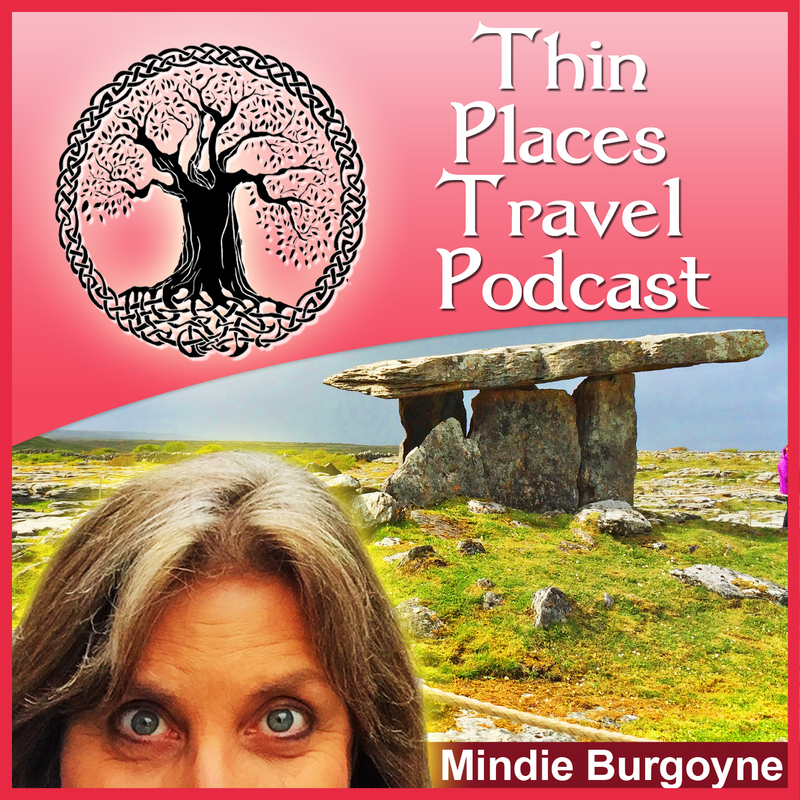 In this spiritual tour of Ireland’s Thin Places you will walk deep into the southwestern landscape, through some of the most mystical and ancient sites in western Europe. Rather than rush around traveling from one place to the next covering long distances, you will take your time immersed in ancient energies, the Irish mysticism, culture and heritage. 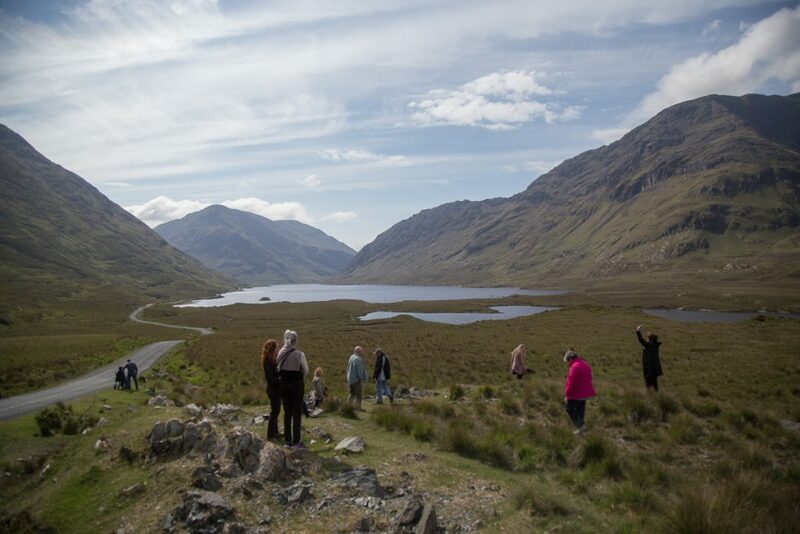 Though we’ll only travel through five counties, you’ll see all the elements of the Irish landscape – the Atlantic coast, the highest mountains, bogs, lush valleys, enchanted lakes, and many vibrant towns and villages. You’ll travel with a small group of people who will become your friends. Our tour groups are small – 15 to 25 people – so as to be flexible and intimate. The focus of all our tours is “thin places” or places where the veil between this world and the eternal world is thin… where both worlds are woven together. And as on all of our Ireland tours you’ll see the unspoiled hidden places few visitors ever see on other commercial tours. You’ll be traveling within the context of a story while peeping into the ancient past of mystical hills, stone circles, passage tombs, holy wells, monastic ruins, castle ruins and archeological wonders. Places of Resurrection is this tour’s theme. Places of resurrection are places where your spirit feels totally at peace – at home. If you are lucky enough to discover your own place of resurrection, your soul will become part of that place and that place will become part of you, and no matter where you travel, a part of you will always be drawn back to your place of resurrection. The essence of that place will be embedded in your spirit while you live and you will carry it with you, and after you die your spirit will live on in that place. Ireland is full of places of resurrection. And the spirits who claimed them are still there woven into the sense of that place. We’ll be visiting many places of resurrection and retelling the stories of the people who shaped them. Here’s a video narrated by tour operator, Mindie Burgoyne talking about the Places of Resurrection tour that first debuted in 2015. Artists, Spiritualists, Energy Workers and Healers. While these tours are not religious, they are ideal for those who have a focus on earth energies, Reiki, the healing arts, Shamanic journeying and artists. Nothing sets the mind free like being in a thin place. These thin places are a balance between ancient megaliths, castle ruins, monastic sites, mountains, valleys and the rugged southern coast shoreline. We’ll have fun, too. The tour, however, isn’t all just thin places and mystical sites. There will also be plenty of time for fun with overnight stays in the vibrant city centres. You’ll be able to relax, take in the music, food, culture and experience the “craic” Irish people are so famous for. A full-time tour guide will be with the tour from start to finish as will our Irish coach driver. Your guide will be an expert on mystical and sacred sites in Ireland, with an understanding of thin places, earth energy and spiritual pilgrimage. Expert local guides will be with your group for a closer look at Glenstal Abbey, Inis Oirr, Dingle and Kinsale. These guides are local to the area and will be able to speak specifically about some of the sites on the tour. Cost is $2499 (based on double occupancy) and is for the land only. It includes lodging at hotels, all breakfasts and four dinners. It also includes land transportation, admission costs, and the private guides. Scroll through the posts on this blog site to see more about the sites on the tour. Airfare is not included. We start and end the tour close to the Shannon Airport. We can assist you with information regarding the best options for airfare and quick / easy transport to and from your hotel on the first and last day. We also can help you arrange an extended stay on either side of your tour. $50 discount for every Thin Places tour they’ve been on prior to 2017. Day 1 – ENNIS – Meet your group at The Old Ground Hotel at 2:00 pm, then enjoy a welcome excursion to Glenstal Abbey to see the icon chapel and take a walk through their enchanting forest. Then back to your hotel for a welcome dinner. Overnight in Ennis or Limerick. Day 4 – DINGLE TOUR – Enjoy a morning escorted tour of thin places around Dingle including the Kilmalkader Church, the Gallarus Oratory and a seaside that is so scenic that it served as a filming location for several successful feature films – including the new Star Wars movie. 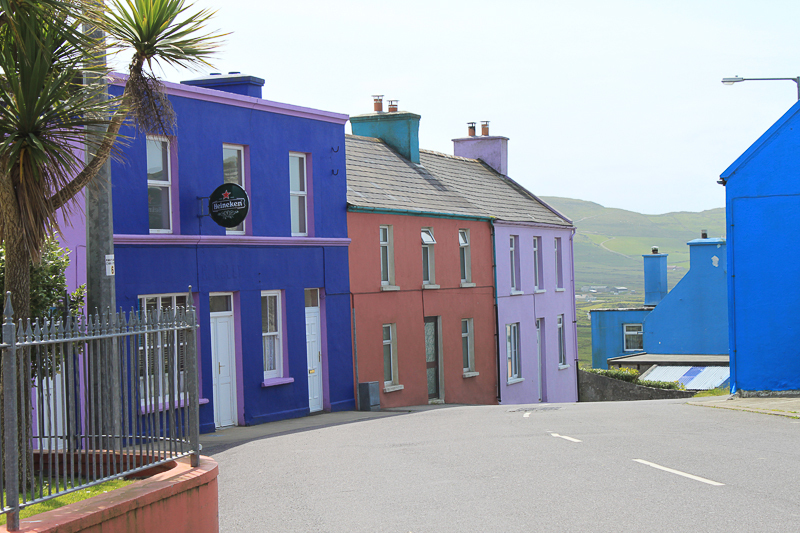 Free afternoon to tour Dingle on your own. Overnight in Dingle. Day 5 -WEST CORK – Head for the scenic western side of County Cork and visit St. Gobnait’s church and holy well. This location was the site that turned out to be St. Gobnait’s “place of resurrection.” The holy well is sought out by many in the local community. Also, see the Sheelagh-na-gig on one of the church walls and take in the quiet energy of this site. Then head for Gougane Barra – or the church of St. Finbar who founded a monastic settlement in the pristine wilderness set on a lake ringed by mountains that are speckled with waterfalls. Overnight and dinner in Bantry. Day 6 – THE BEARA- Take a ride around the Ring of Beara and see some of the most ancient and beautiful megaliths and scenery in all of Western Ireland. Sites include Uragh Stone Circle, the Hag of Beara and the site where the mythological Children of Lir are said to have perished. Have a late lunch in Castletownbere – then head for your hotel in Bantry. Overnight in Bantry. Day 7 – DROMBEG / SKIBBEREEN – Head east and stop at Drombeg Stone Circle – a large stone circle complex with amazing views. Then stop in Skibbereen famine cemetery and sense the sorrow through the art and poetry of the Irish people who sustained such great losses during the great hunger of the 1840s. Then explore 13th-centurytury ruins of Timoleague Abbey before settling in at your hotel in Kinsale. Overnight and dinner in Kinsale. Day 9 – CASHEL & GRANGE STONE CIRCLE – Heading back to where you started, you will make a morning stop at the Rock of Cashel, have lunch in town and the head for the Grange Stone Circle – the largest stone circle in Ireland and a site of powerful energy. Then enjoy a farewell dinner at the hotel and bid goodbye to the friends you made on your journey. Overnight and dinner in Limerick. Day 10- Awaken in Limerick and either head to the airport for home, or continue touring on your own (we can help with suggestions for an extended tour). Itinerary is subject to change considering weather and availability factors. Overnights are in Ennis or Limerick, Dingle, Bantry, Kinsale and Limerick. $500 per person deposit needed to reserve your spot (plus the $550 single supplement if applicable). Final balance due to be paid by 60 days before the tour.